One of England's pioneers in cinematography, Alfred J. West is far less known than his contemporaries, largely because so few of his films have survived. He was a marine photographer with the Southsea firm West & Sons, which he ran with his brother George. While he concentrated on studio portraiture, Alfred built up a fine reputation for yacht photography and other marine subjects, inventing the first automatic shutter to allow him to capture moving objects without blurring. He began experimenting with cinefilm in 1897, using his links with the Royal Navy to film torpedo firings at Portsmouth. From these experiments grew the famous West's Our Navy, based for fourteen years at the Polytechnic in London, while also touring Great Britain and its Empire. As a highly effective recruiting agent for the Royal Navy, West's film shows had official blessing, and very soon included British Army subjects for the same reason. He now had privileged access to film Britain's armed forces, but really came to prominence in 1898 when he received a Royal request to film the cruise of HMS Crescent, commanded by HRH the Duke of York (later to become King George V). The resulting film was shown to officers and crew, and then to Queen Victoria on 27 August at Osborne House, Isle of Wight. Her Majesty was most impressed, and West's future in cinematography was assured. He went on to give his first public performance of cinefilm at Portland Hall, Southsea in October that year, and thereafter built on his popularity through regular shows in London and elsewhere. A new company was formed to deal with this new business, Our Navy Ltd., and West ceased to partner his brother in West & Sons. Our Navy and Our Army, as West's film shows came to be known, contained a mixture of film, magic lantern slides, sound effects, musical accompaniment, narration, and jingoistic songs sung with great patriotic fervour. He advertised performances in a number of ways, including the use of a large model naval ship which was towed around the vicinity of the halls where the shows were performed. This model appears in one of the films which survive, where it is shown posing as a full size ship being blown to bits by naval gunfire (actually duck shot and explosives) during the Russo-Japanese War of 1905; the real location was Portsmouth harbour. 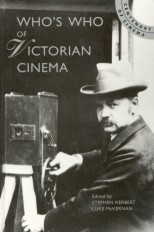 Undoubtedly influenced by other cinematographers of the time, West also used dramatic photoplay with some of his documentary subjects, in order to grab the emotional interest of his audiences. This is well illustrated throughout his catalogue Life in Our Navy and Our Army, which includes the story of a village boy who joins the Royal Navy and undergoes various drills, voyages and escapades to become a seaman torpedoman; on returning home, he finds that his mother has died, but tears turn to joy when he later becomes engaged to his childhood sweetheart. Such touching additions merely added to the popularity of his shows, which employed up to fifty people to help stage them, including a concert manager, lecturing assistants, publicity agents and projectionists. The cinematograph he used was built by James Adams, a Southsea photographer. Filming of marine subjects was achieved from on board his own steam launch, from which good close-up shots were made of all kinds of vessels. West's extraordinary access to the Navy and Army makes one speculate whether military subjects claimed by newsreel companies of the time were actually commissioned from West. Such unusual access may be attributed mainly to his patriotic film programmes, which helped recruitment, and perhaps also because he was probably a freemason. The handful of West's surviving films are held by Wessex Film and Sound Archive. All of the original negatives were lost, it seems, when West gave up the business when it became too much for him and sold his entire stock shortly before the First World War. The films may well have been sold on to the Royal Navy for re-processing as chemicals for explosives, though there is no record of this. 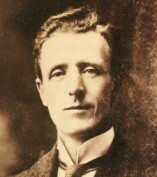 West, a Fellow of the Royal Geographic Society, retired to the Isle of Wight after the War, but returned to Southsea in 1928 and died there in lodgings in 1937. His obituary in the Portsmouth Times for 22 January 1937 was sub-headed 'Godfather Of The Films', in tribute to his work and the impact of Our Navy and Our Army upon audiences throughout the British Empire. Note: Alfred West is not to be confused with another British showman of the period, T.J. West, though the latter often encouraged this.